Midwest United States. 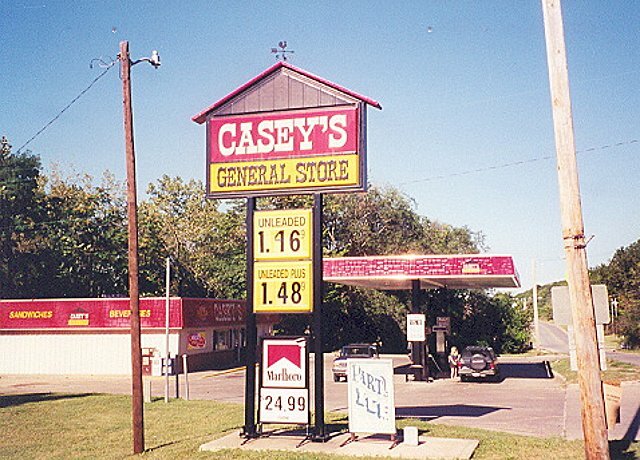 They provide gasoline under their own name. usually in smaller towns. They began around 1977. 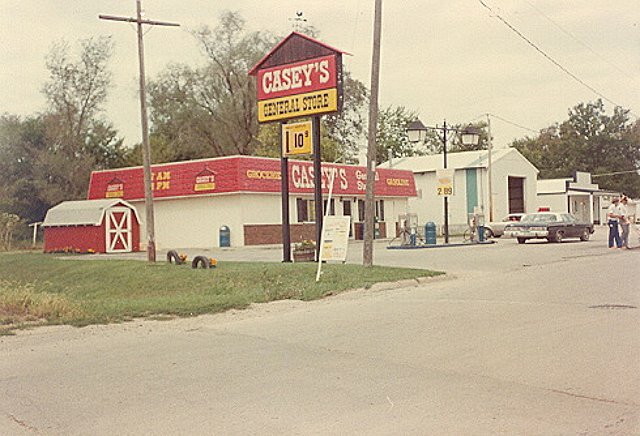 A Casey's in Redfield, Iowa taken on Nov. 12, 1984. 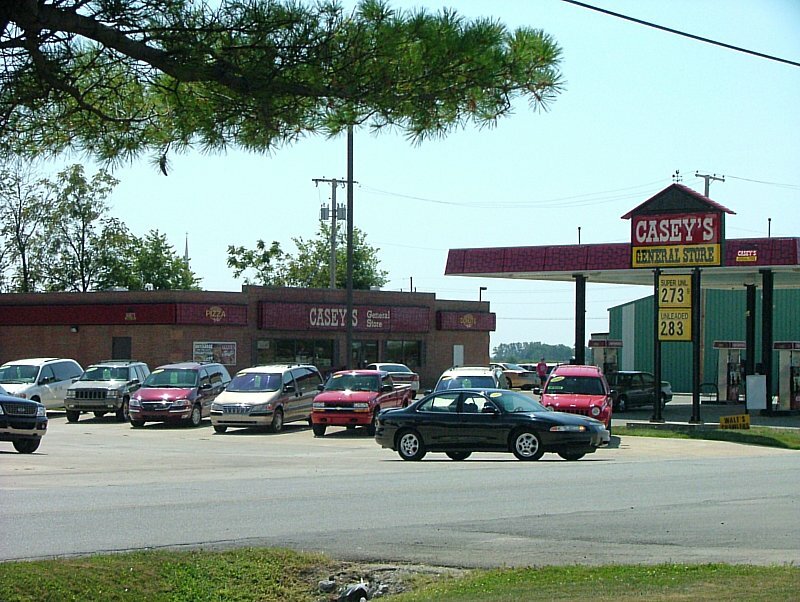 A Casey's on US 24 in Remington, Indiana. Local address is 21 W. Division St.
Taken Sept. 13, 2000 by Walt Wimer. 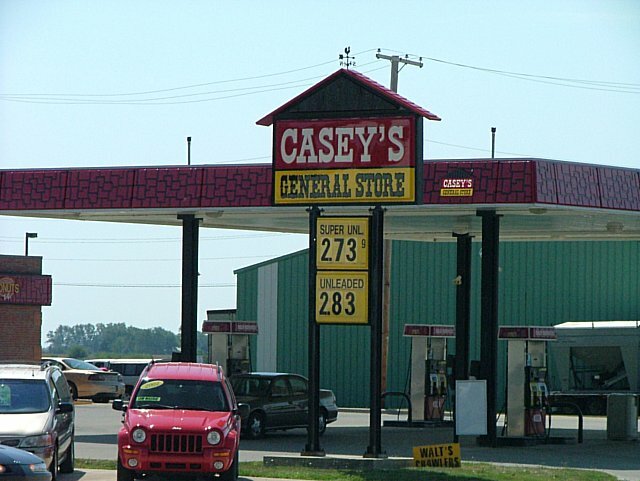 A Casey's on US 6 in Marseilles, Illinois. Taken Sept. 15, 2000 by Walt Winer. 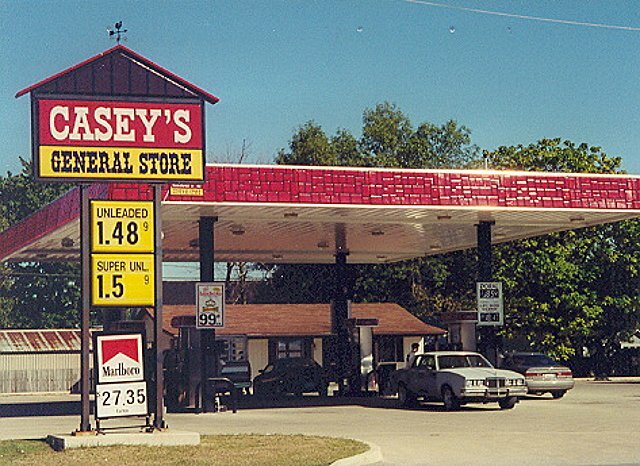 Casey's at 605 S. Grant St., Fowler, Indiana. Taken August 11, 2007 by John Cirillo. A shot of the whole store at the Fowler Casey's location. Shrinking it more lost too much detail, so I left it at 800x600.